"Your Needs Are Our Concern"
Your household income must be less than or equal to 175% of the Federal Poverty Level. You must be paying more than 3% of your annual household income on electric bills and also more than 3% of your income on natural gas bills. If you have electric heat in your home, you must be paying more than 6% of your income on electricity. To apply for USF, you must fill out an application for the Low-Income Home Energy Assistance Program (LIHEAP). SEE BELOW. By filling out this application, you will be applying for the LIHEAP program and you will automatically be considered for USF eligibility. The New Jersey Board of Public Utilities (NJBPU) is a state agency and regulatory authority mandated to ensure safe, adequate, and proper utility services at reasonable rates for New Jersey customers. To find out more about the NJBPU, visit web site at www.bpu.state.nj.us. The Low Income Home Energy Assistance Program (LIHEAP) is designed to help low-income families and individuals meet home heating and medically necessary cooling costs. This year, the application period is October 1, 2012 to April 30, 2013. Monmouth County residents may apply for LIHEAP, by contacting the authorized local community action agency noted below. For persons age 60 or over, or who are disabled, applications may be received and returned by mail. Other households may apply by mail at the discretion of the local agency. To be eligible for LIHEAP benefits, the applicant household must be responsible for home heating or cooling costs, either directly or included in the rent; and have gross income below 200% of the Federal Poverty Level. The chart below gives specific monthly gross income maximums for FFY 2013. Persons who live in public housing and/or receive rental assistance are not eligible unless they pay for their own heating/cooling costs directly to the fuel supplier. The amount of the LIHEAP heating benefit is determined by income, household size, fuel type, and heating region. This year, the medically necessary cooling assistance benefit is set at $200. An eligible household that heats with natural gas or electricity will have its benefits directly forwarded to its utility company. Otherwise, in most cases eligible households directly responsible to a fuel supplier for payment of home heating costs receive a two-party check in the name of the applicant and the fuel supplier. Households whose heating costs are included in their rent receive a single party check made out to the eligible applicant. The medically necessary colling benefits is directly sent to the electric company. Please Note: The FFY 2013 LIHEAP application is also an application for the new Universal Service Fund (USF). You apply for two benefit programs at the same time. USF is a program created by the State of New Jersey to help make natural gas and electric bills more affordable for low-income households. If you are eligible, USF can lower the amount you pay for gas and electricity. To be eligible, a household's gross income must be below 175% of the Federal Poverty Level. The household must pay more than 3% of its annual income for electric, or more than 3% for natural gas. 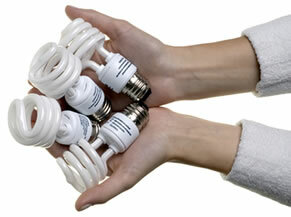 If a household has electric heat, it must spend more than 6% of its annual income on electricity to be eligible. For more information about USF, call: 1-866-240-1347. For further information on LIHEAP contact the application agency shown below or call 1-800-510-3102. Additional information about LIHEAP and USF, including an application, is also available at www.energyassistance.nj.gov. For further information in Monmouth County, please contact the authorized local COMMUNITY ACTION PROGRAM (CAP) agency listed below. If household's income is above the maximum guidelines for LIHEA/USF then apply for TRUE. This program can provide a one-time assistance payment for electric and gas bills due to financial hardship. Helps with gas and electric bills for disabled or senior homeowners and renters with limited incomes. Helps with gas and electric bills for people facing a temporary financial crisis. Helps qualified low-income households lower natural gas and electric bills through energy education, the installation of energy efficiency measures and repairing or replacing heating and cooling equipment.